What would interest me, is what you know about where to get a good pint of Guinness on draught, hopefully properly poured. Seriously though, it is very difficult to find this outside of the Republic of Ireland… it is possible but unlikely in Britain… but all the way down here in South America I think you will be very lucky for this wish to come true. Contact me when you can! Hey, thanks for the info and happy beer hunting! South America seems tough for great beers. Have been to Brazil a bunch for work and am heading to your city for vacation later this month. Will try the beer garden at Buller’s during a happy hour. Thx again. It may be hard to find decent beer in South America, but it seems that if you look hard it is there to be discovered, just not all that easily accessible. Good luck, and have a great time in Buenos Aires. Let me know how you liked Buller, and also check out Antares, which I reviewed more recently on this blog, and has a couple of beers that I prefer to what is on offer at Buller. Hi Alan! I made it to Bullers, several times now in fact! The IPA ended up being my favorite because I’m a hophead. I did have a couple of stouts and honey beers as well as tried the sampler when I first arrived there. This is my last night here and I am thinking about trying Antares tonight even though they don’t have a pale ale or IPA. Recoletta is on the way back to the hotel if I need one more fix. Thanks for the info! are many interesting items in my large collection of bottle labels and others and I am still looking for new ones. If it is not very big trouble, I would kindly ask you to send me some beermats and bottle labels and pins, caps from your brewery. I have many friends from all around the world and as we meet and exchange gadgets and bottle labels, I’m looking for something that I could surprise them with. In future I would like to open my own pub, with large selection of beer types from all around the world and knowledge about many breweries and beers will be very helpful in realization of my dreams. I am looking forward to your answer and getting your beermats and bottle labels ad others. Sounds like a great hobby you have there – anything to do with (real) beer I’m certainly down with! However, I have no connection or affiliation with Buller Buenos Aires brewery or pubs – I just reviewed them. You would have to contact them to see if they can send you anything. And good luck with your dream of having your own pub in the future – I would love to come to visit, especially if it is in Krakow, one of my favorite European cities! I’m off to BA in a couple days and have been looking for brewpub beer bar info. Between your site and scooping abroad argentina I think I’m pretty well equipped for some serious beer hunting. thanks. Damn , i feel very thirsty now 😀 By the way your blog seems consists lots of useful info about B.A,i thinks i should consider a trip there. Great idea and very useful site. I’m a beer nut myself and will definitely try Bullers and Antares when in town. Any other spots reviewed recently that you would recommend? Thx again for struggling through the legwork on this…. is Boddingtons beer available anywhere in the San Telmo district? a year behind in posting… but a few of us hit up buller, excited to find a brewery and see what it had to offer… we must agree, after trying a pitcher of the light lager and some refreshing american bar food (onion rings, anything loaded with Vitamin G(rease), we were completely unimpressed and it was onto the honey lager. by far the biggest surprise of argentine beer i had come across! tasty, refreshing, and has quite the deceptive punch! the thick honey coats and soothes the mouth and throat from what normally would be too much alcohol in a beer. 4 or so pitchers later, the three of us stumbled into the street very confused and certainly drunk (not really our style). 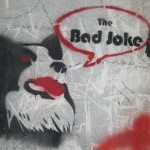 hilarity ensued… but that is a different story available on request. buller’s honey… delish! just don’t make my rookie mistake and underestimate it… unless you are looking to lose a sandal and come home with a few uniquely offensive argentine phrases i’d never heard of along side some chicks phone number in your pocket (no name though). I was wondering if you know much about pubs out in the suburbs of BA? 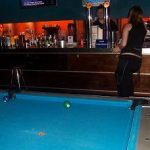 Do the regular suburbs have a local pub or is it strictly an inner city thing? I was thinking of venturing out 20 or 30 kms where I’ll be the only gringo hopefully. Great article! Unfortunately, I seem to have read it a few years too late! 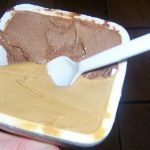 I would love to see an updated version of this article as I am planning on coming to Buenos Aires for 6 months from Scotland (where we have a very interesting craft beer scene). 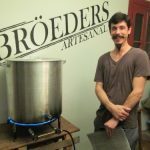 I found this article whilst looking for information on small breweries in BA and it’s great to see someone taking so much interest in craft beer! do you have any more recent info on where I might try some good beers in Argentina? Thanks for your comment, glad you liked the article! You aren’t really that late… Buller still exists, in the same location with the same styles of beers brewed on site, and is still worth a visit. 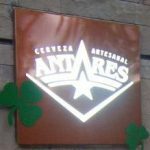 Also worth visiting is Antares, which I reviewed on this website around the same time as Buller, here is that article: https://www.buenostours.com/antares-pub-palermo – however personally these days I prefer the Antares pub located in Las Cañitas, on Arévalo 2876. When are you coming to Buenos Aires? I am toying with the idea of starting a “Beer tour”, probably one night of week, for small groups, like a pub crawl but with the emphasis on quality rather than just quantity of beer. Perhaps you could be a guinea pig for the tour? Let me know what you think – my email is [email protected] – drop me a mail and I’ll also help you with some even more recent craft beer recommendations.